Balkia is a plum-based Rakija (Slivovitz) from Serbia. The latter is aged for 3 years in oak barrels and has an alcohol content of 43%. 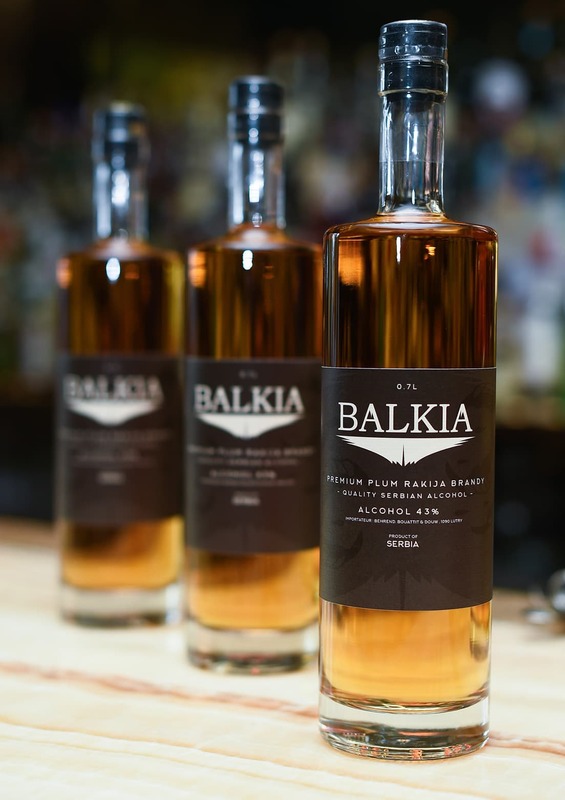 Balkia’s taste is bittersweet, perfectly balanced by the sugar and acidity of the plums. 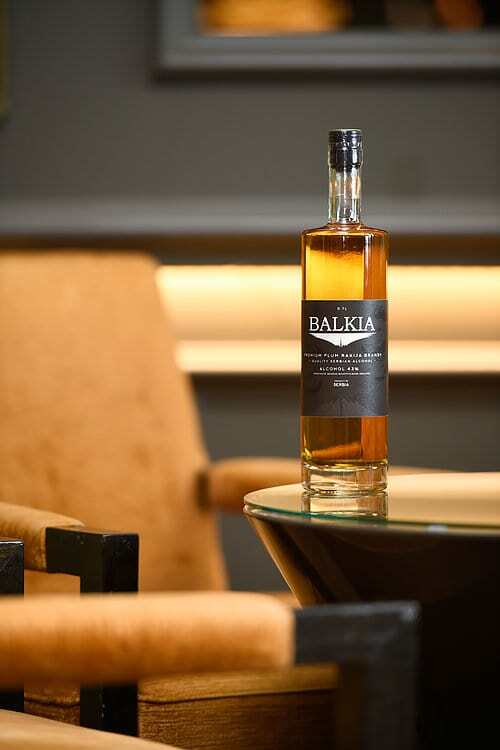 It’s golden color comes from the oak barrels in which Balkia develops its character. If you wish to order more than 3 bottles, please contact us before doing it. Vladan Novakovic, our producer, is based in southwest Serbia. He selects for us the best fruits and transforms them thanks to a particular know-how, inherited from his family. They control this craft 4 generations long. This allows to obtain a rakija of a high quality, ready to be imported in Switzerland and Europe. It is true that rakija can be distilled from a multitude of fruits, but it is undeniably the plum that we find most traditionally and whose know-how is the most mastered. 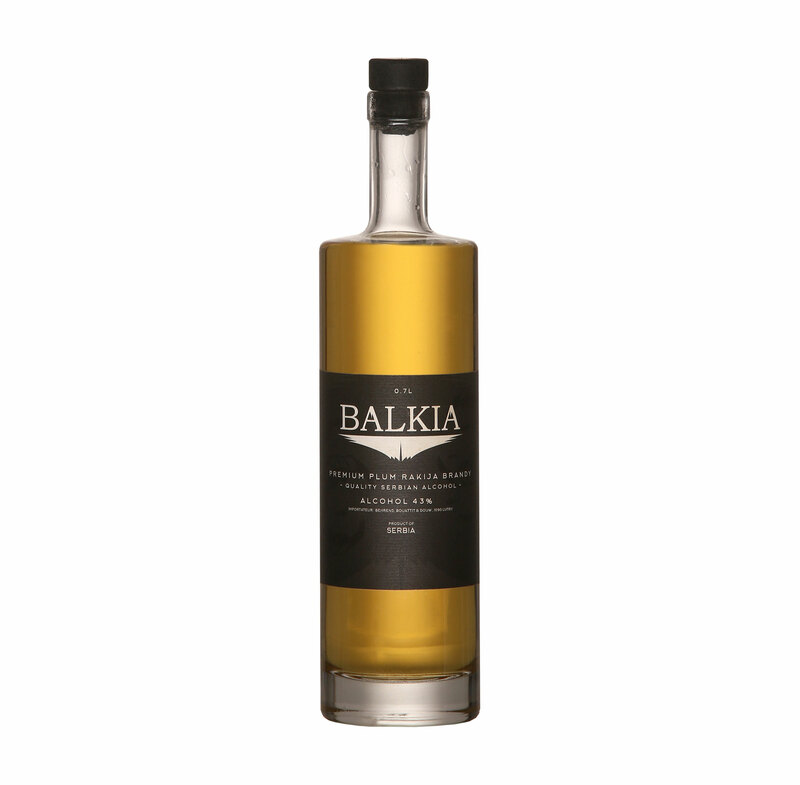 This mastery gives Balkia bittersweet aromas, perfectly balanced by the sugar and acidity of the plums. 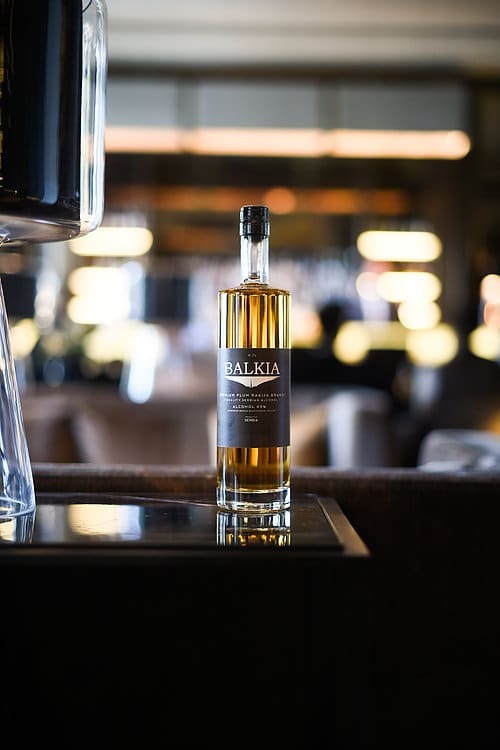 Its golden color comes from the oak barrels in which Balkia develops its character. Vladan Novakovic’s product knowledge and production techniques are essential for us to offer the European market a rakija of excellent quality. Writings from the 15th century tell us that the origins of rakija originate in the Balkans. Some historians claim that the plum was imported into the Balkans by the Austro-Hungarian empire, others say that it was the Ottoman empire that created it. The first censuses, in Serbia dating from 1862, reveal that each house had on average between 10 and 15 plum trees intended for the production of rakija. Through the generations, the experience, knowledge of this fruit and its distillation allow to obtain a quality of plum spirits unequaled in the world.